We dive into information on why wire locks are the popular choice to hold your wrist pin in place, and list out some good tips for installing them. Wire locks are the most common wrist pin lock in Powersports applications. 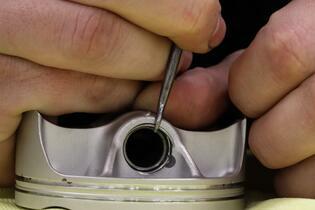 One of the smallest and simplest parts involved in replacing a piston is the wrist pin locks. 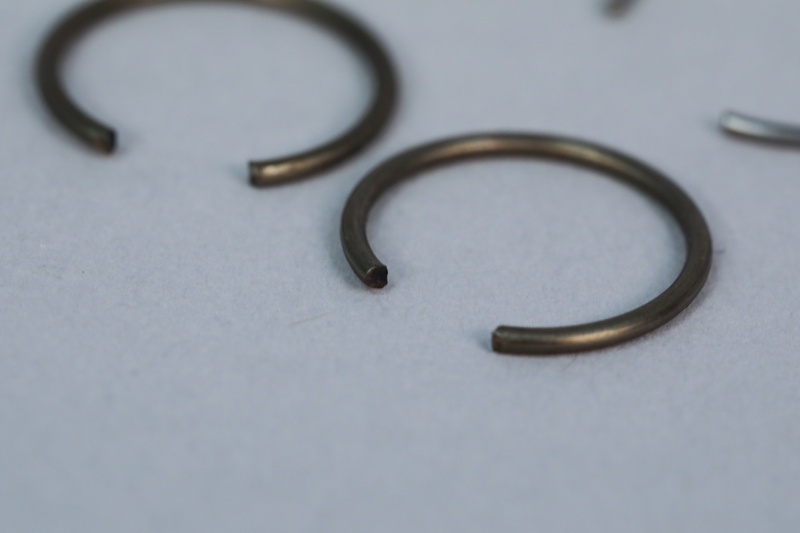 However, those tiny parts can give you the most difficulty out of the entire top end rebuild. Installing locks can get frustrating, but we have to appreciate them for the role they play in our engines. 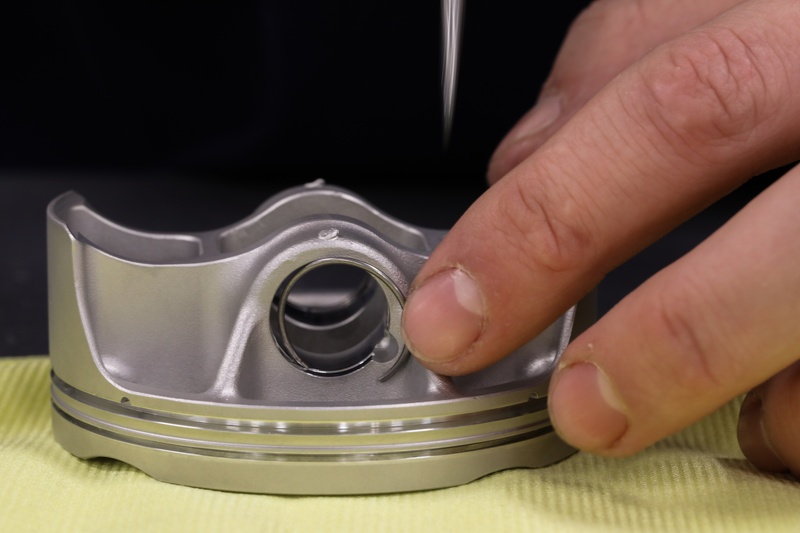 The most common method of attaching a piston to a connecting rod in Powersports applications is with a full-floating wrist pin. 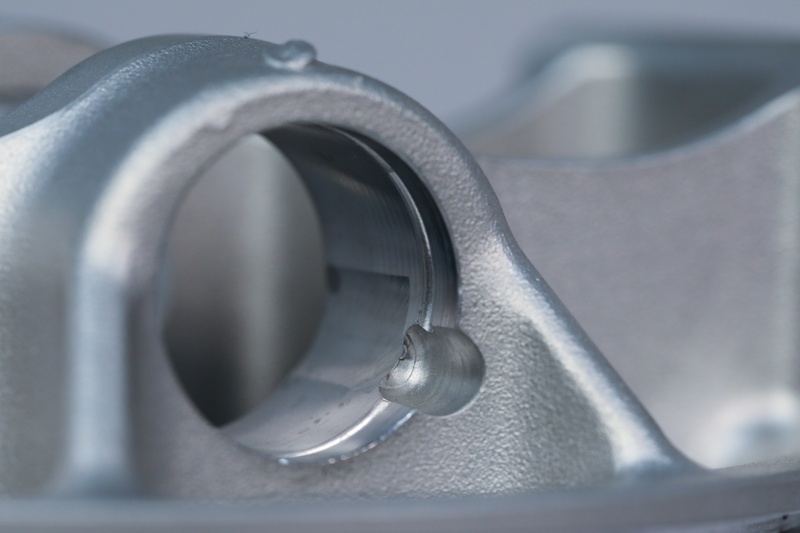 Full-floating pins pivot freely within both the little end of the connecting rod and the piston pin bosses. 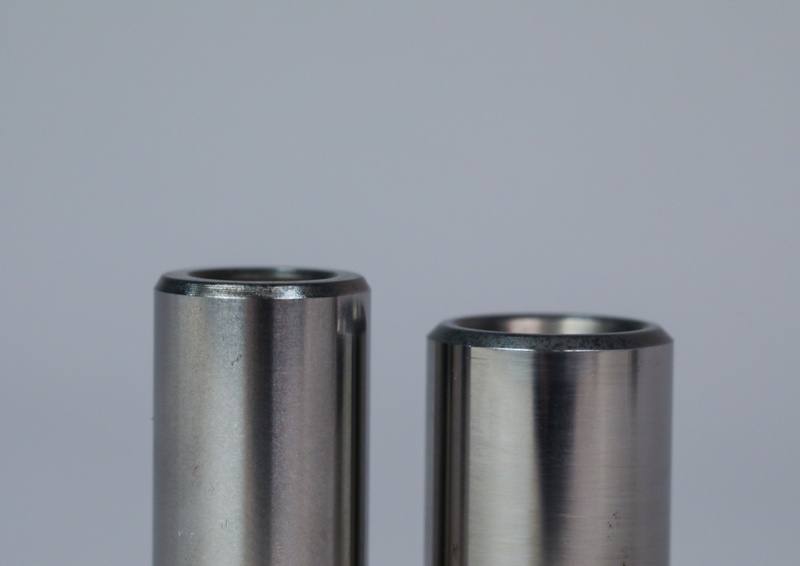 The wrist pin is held in check and kept from scratching the cylinder by a spring-loaded lock on each side that secures the pin between the pin bosses. 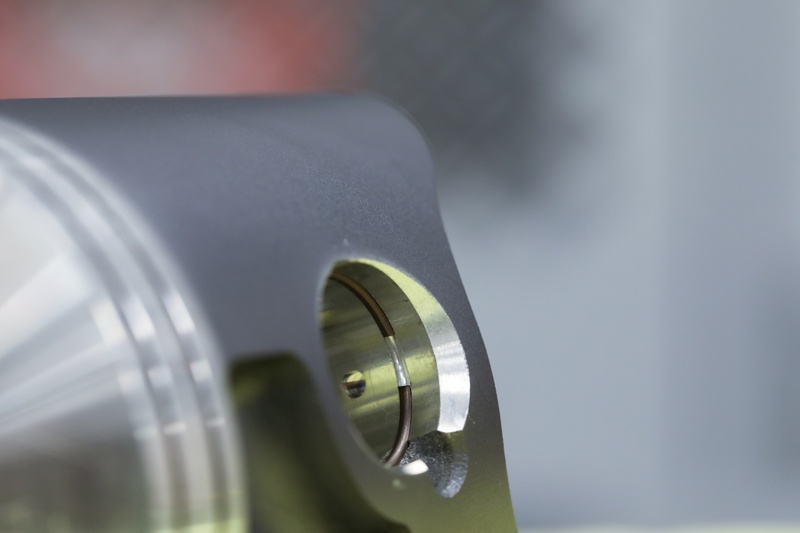 Wrist pin locks are spring-type fasteners designed to provide an interference fit in a groove machined at the edge of each pin boss on the underside of the piston. The locks keep the wrist pin centered within the pin bosses while allowing for rotation. The elasticity of the lock allows them to be deformed in some manner for installation and removal. The most common lock used in Powersports applications is the wire lock. 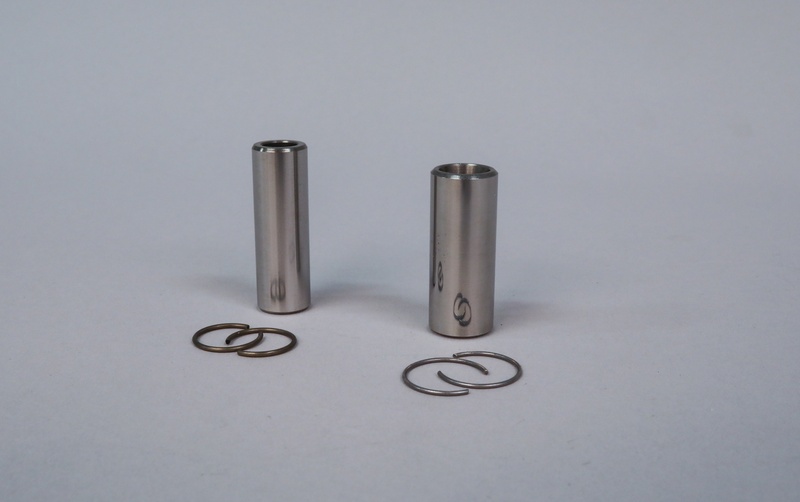 Full floating chamfered wrist pins with wire locks. Wire locks can be found in many different styles depending on the application, but the basic open end “C” shaped clip is by far the most common lock type in Powersports engines. This lock can be installed with bare fingers or a mix of screwdrivers and picks, depending on the whims of the engine builder. A modified version of the wire clip has upswept tangs on each end that have a similar function as the holes on a snap ring. This allows a dedicated plier for installation. 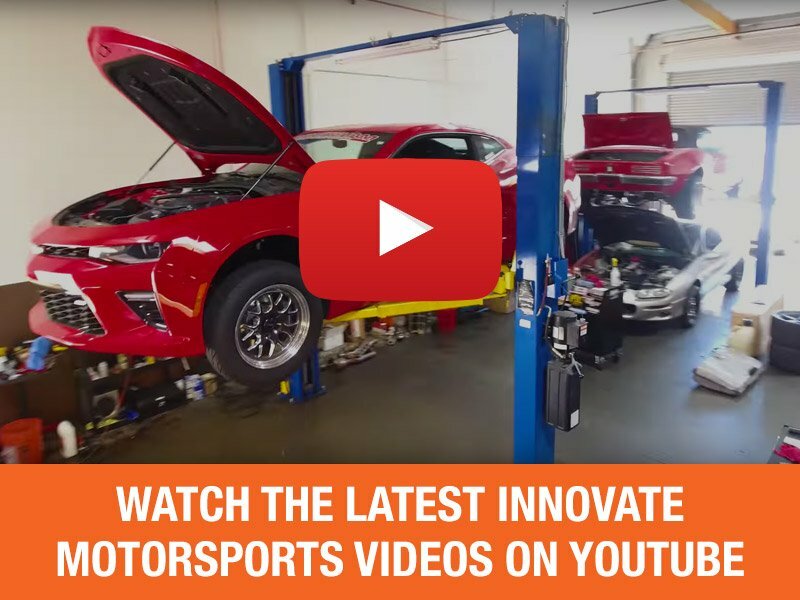 This style is more popular with OEM applications than performance engines. Please note, everyone has a slightly different technique for installing wire locks. There is no exact science to it, but these are recommendations to get you started. 1. Install one end of the first lock approximately 90 degrees from the pick lock groove. 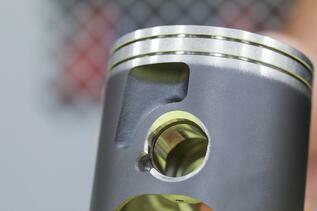 Piston orentation is especially important with odd numbered valve heads. 2. 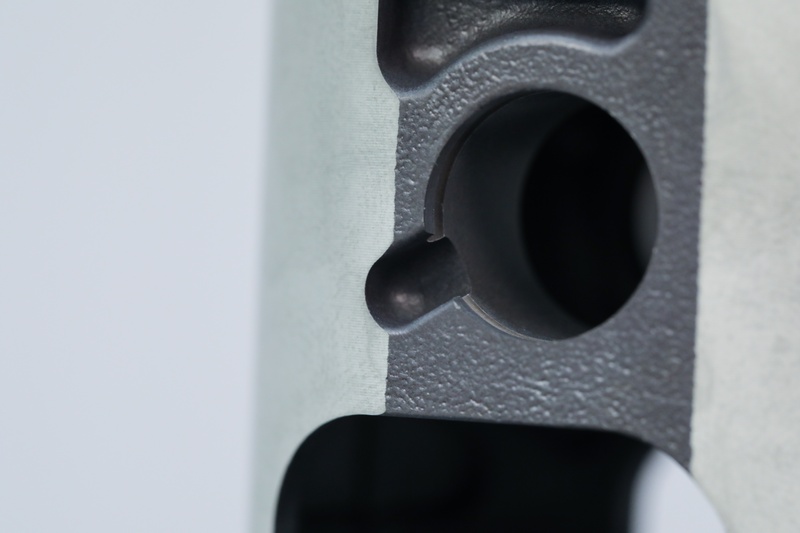 While holding the first end installed in place, apply pressure along the remaining portion of the lock to compress and slide completely into the lock groove. Note: If the lock is too stiff to finish installing by hand, try using a small tool (such as a small screwdriver, dull pick, or similar, but be careful not to damage the piston. 3. After the first lock is in place, be sure the lock is completely seated throughout the entire groove. 4. Now, install the piston on the connecting rod with the wrist pin. 5. Seat the 2nd lock in the same manner as the first. 6. Once again, double check both locks are properly and completely seated. 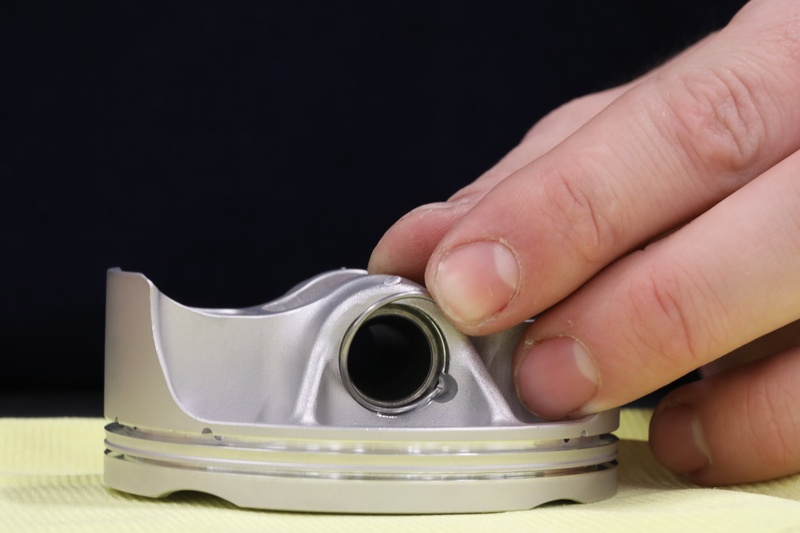 Another example of the process with a 2-stroke piston. 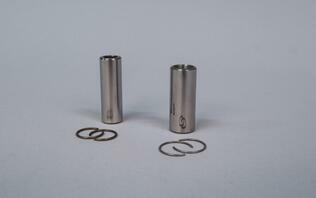 Wire locks must be used with chamfered wrist pins. Also, the retention grooves on the pin bosses must be designed with a small relief machined on the edge of the groove. Sometimes this relief or notch is used to help facilitate removal, or it can be used to properly position a certain design of wire clip. Wrist pins used with wire locks are chamfered on each end. 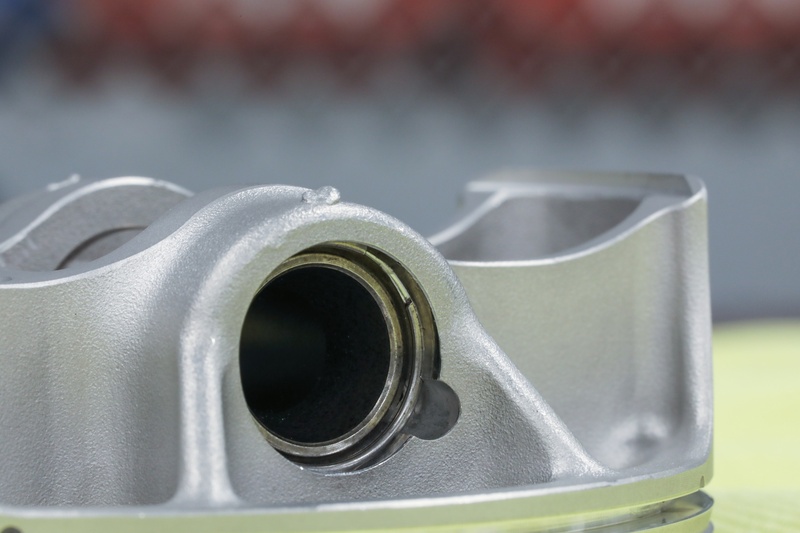 Pistons that utilize wire locks will have a pick groove, usually used to help in wire lock removal. Regardless of the type of lock, make sure they’re properly seated and flush all the way around the retaining groove. 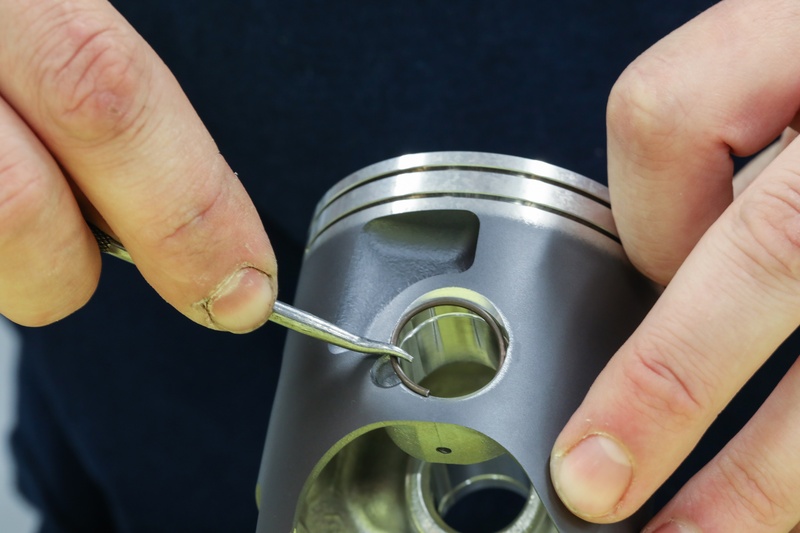 Avoid scratching the piston with screwdrivers, O-ring picks or other tools. A deep ding can lead to a stress riser. If you bend or tweak the lock out of shape while installing, do not use that lock. Replace with a new one. Make sure the pistons and rods are properly oriented before installing the pins. 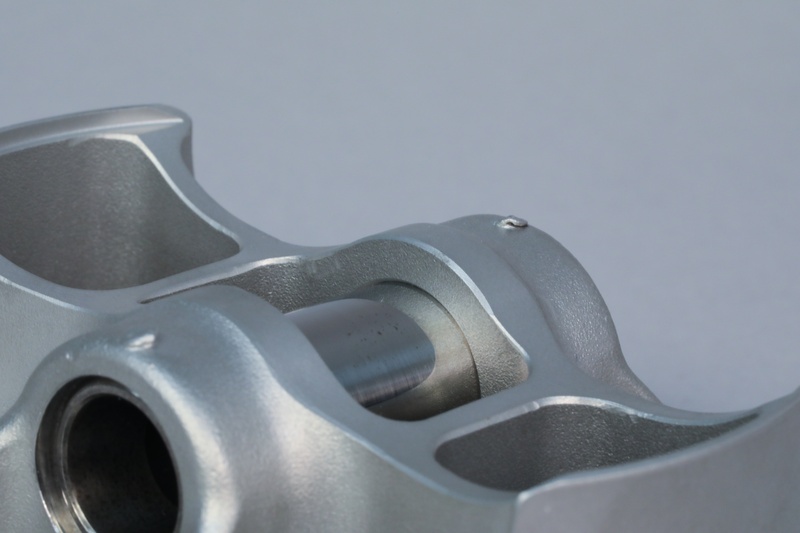 You don’t want to pull them apart because the rod chamfer doesn’t face the crankshaft fillet radius when the piston assembly is installed into the cylinder. 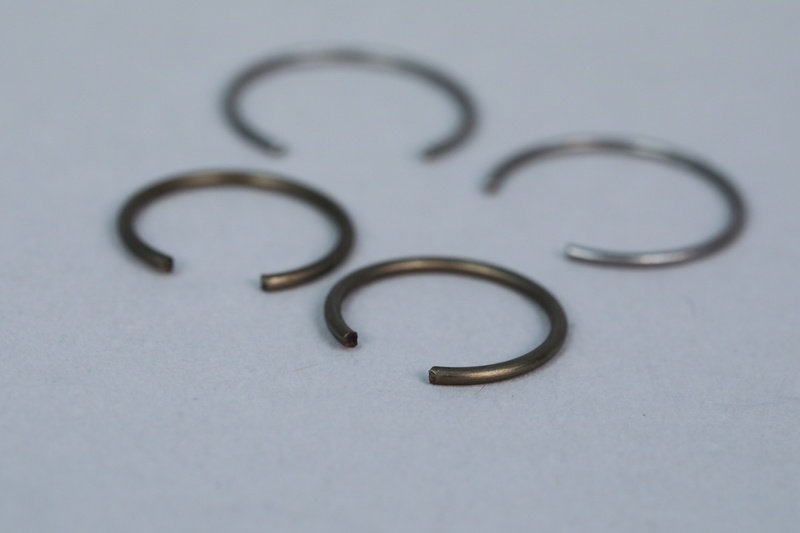 Regardless of the style, wrist-pin locks are low-cost parts, so the best policy is to never reuse them. As always, if you're not comfortable with this process or are unsure, it's always a good idea to consult a professional mechanic to avoid potential engine damage.